For reasons as yet unclear, the Scythes of the Emperor are being recalled from every campaign and crusade across the galaxy, and Reclusiarch Hornindal urges the crew of the destroyer Xenophon to make all haste for their home world of Sotha. But when they encounter tyranid splinter fleets already well within Imperial space, a chilling truth becomes apparent – that this can only be the prelude to a second xenos invasion more than two centuries after the original Tyrannic War. The Chapter must prepare for the worst. The Scythes of the Emperor are best known for being almost completely destroyed by the tyranids of Hive Fleet Kraken… Here’s your chance to find out what they were like before, and see the beginnings of what will become their greatest tragedy. Remember other published Scythes story Orphans of the Kraken, in the now called Space Marines: The Omnibus. In which a nod to Scythes.com by Richard Williams (Forgemaster Sebastion) is made for the site and my joint project with Andrew Taylor on the Scythes History article. Also, the origins of the Scythes of the Emperor Chapter and Sothans is hinted at in The Unremembered Empire Horus Heresy novel. Recommended read. Excuse me while I squeal with delight, in a completely manly way. What a time to be Sothan! *Checkout the NEW Scythes Essential Reading Guide Here. I can neither confirm nor deny that any new Scythes stories are imminent. Totally bizarre errie timing.. I’m currently writing a post discussing each story and merits of background -right-this-moment. I had missed “Heloth” & “A Safe and Shadowed Place” thanks Laurie! That is great news for the Scythes! Thank you for the list of Scythes material, I did not know about most of those. In fact, I can’t find Reclamation anywhere, can you help me get a hold of this story? It was published in a physical edition print; so finding an eBook on Black Library has been a dead end. I’m scouring eBay presently. 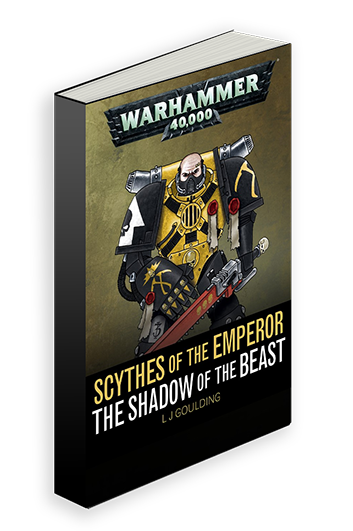 Also, checkout the new Scythes Essential Reading Guide page (Link now above) – every book source and Sothan content in Black Library books.